The INSEAD Alumni Association of Belgium (IAAB) was founded in 1963 and represents more than 1,800 alumni. While most events take place in Brussels, attracting alumni from different nationalities, the IAAB also organises events in cities outside Brussels. 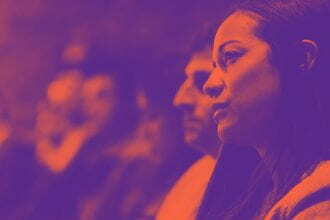 The IAAB’s reputation has been built principally on two prestigious annual events: the Innovator Prize and Viewpoint. Apart from these two major events, we have nine different clubs (Energy, Entrepreneurship, Golf, Healthcare, Investment, Sailing, TMT and Young Alumni) that organise more than 20 topic-specific events. This year, the IAAB also launched iW50 on Global INSEAD Day and the Belgian chapter of the Women in Business Alumni Club earlier this year. 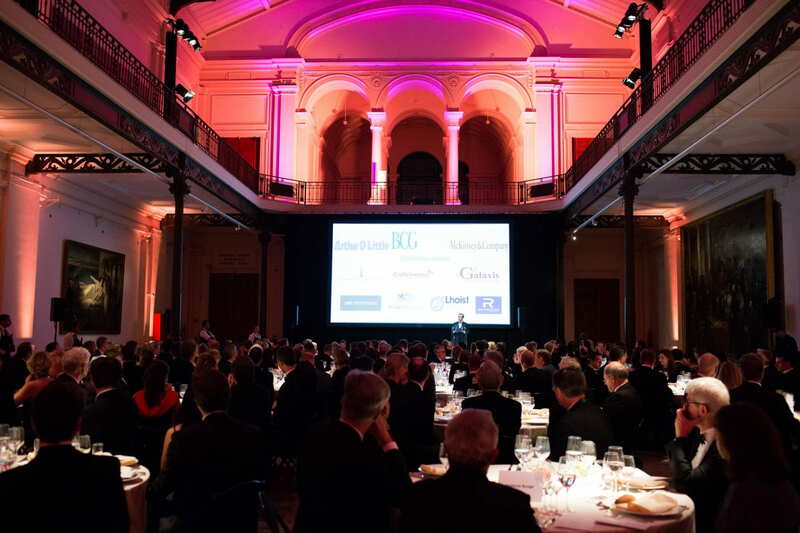 Since 1986 the IAAB has organised an annual gala evening in November to award the INSEAD Innovator Prize. The main objective of this prize, which consists of a trophy and a diploma, is to “highlight to the general public, the press, the governmental and political world, the academic and business world, the merits of a man or woman who has demonstrated creativity and dynamism in a corporation or public organisation and has therefore had a lasting impact on the Belgian or international business community or society at large”. This year, the recipient is Jef Colruyt, CEO of Colruyt Group, whose company has revolutionised the retail sector in Belgium by being the first to introduce a discount supermarket, back in 1962, and continuing to push innovation in the concept ever since. Viewpoint is an annual event that takes place mid-September typically attracting 120–150 business leaders (both alumni and non-alumni) and has a clear objective: a provocative debate on a controversial business topic with two or more top CEOs and an INSEAD professor. This year’s topic was “Self-Managed or Agile Organisations: Latest Management Hype or Brave New World?” The event was moderated by Professor Noah Askin and our panellists were Jean-Pierre Clamadieu (CEO, Solvay) and Oskar Berger (Managing Director, W. L. Gore & Associates). The event video can be found here. In the Energy Club, entrepreneurs or industrialists present innovative business models, new technologies or investments in sustainable energy initiatives. The ambition of the renewed Entrepreneurship Club is to stimulate the entrepreneurial spirit within the INSEAD community, and to invite entrepreneurial leaders from within and outside the INSEAD network to organise several company visits per year. The Belgian alumni have a longstanding tradition of an annual golfing outing, which is usually scheduled on the afternoon of the third Friday in June. The Healthcare Club is a platform for learning and exchange on topics that are relevant to the broad life science and healthcare sector. The goals of our Investment Club are to give our members a better insight into both the stock market and the economy, develop ideas for their private investments, and to achieve a reasonable return on their investment in the Club. The Sailing Club meets once or twice a year for a weekend sailing expedition of fun, teamwork and sharing stories. The INSEAD TMT (Technology–Media–Telecommunication) is a networking platform for learning and exchanging on subjects focused on current technological hot topics (big data, Internet of things, AI, etc.) and their impact on business and society. The objective of the INSEAD Young Alumni is to build strong links between the most recent INSEAD promotions (typically the last 10 years) and to welcome the latest promotions into the Belgian National Alumni Association. We organise dedicated activities for younger INSEAD alumni (company visits, festive events, drinks and so on). To celebrate 50 years since INSEAD first opened its doors to women MBA students, we invited Professor María Guadalupe to launch iW50. She presented a lively workshop on the Broadway play she created that reversed the genders of the US presidential candidates using actors and the same rhetoric, raising fundamental questions of how form influences perception. Earlier this year, we launched the Belgian chapter of the Women in Business Alumni Club. We were joined by Professor Eric Uhlmann (INSEAD) and Kay Formanek (diversity expert) for a full-day experiential workshop on diversity and unconscious bias. This initiative is part of the continuous learning programme we offer our alumni. It is designed to provide alumni who are taking up board memberships with the foundational skills they need to be successful in their role. The IN-Board academy combines a three-day event at the INSEAD Global Leadership Centre in Fontainebleau with six sessions held in Brussels that include meetings with board members of listed companies.